There's no experience quite as satisfying as watching a movie or listening to a CD with optimal audio quality in the comfort and privacy of your own home. Yet a home stereo system can be a truly frightening acquisition when you get everything out of the box and realize you now have to figure out how to put this puzzle together. Why do I have three different kinds of wires? Where do my speakers go? What are all these inputs on the back of the receiver? After a few deep breaths and a few short steps, you'll be up and running and enjoying the best sound money can buy in no time. Hook up the stereo receiver to the speakers. When you play DVD or Blu-ray movies and watch certain pay cable channels, you encounter multiple channels of discrete audio. What this means is that, somewhere along the line, a dedicated and talented sound engineer sat down to mix whatever it is you're watching, and decided very specifically what sounds should come from which speakers. To experience your movie or TV show the way it was originally intended, you need to make sure your speakers are properly hooked up to the stereo receiver. Buy a spool of speaker wire and cut lengths to run from the receiver to wherever you decide you want your speakers to sit. One end of the wire goes into the back of the speakers, while the other goes directly into the appropriate input on the receiver. Make sure you are hooking up your speakers up to the proper inputs; the one labeled "Front Left" in a standard 5.1 home stereo system, for example, needs to be hooked up to the input on the receiver labeled "Front Left." Hook up the television to the receiver. This is not absolutely necessary, as you won't be using the television speakers anyway; but to make sure all components in your stereo system function as one, you'll want to run an audio cable from the back of your television to the receiver. Check the back of each device to see which kind of cable you need. At the least, you'll need some red, white and yellow component cables. At most, your TV and stereo receiver may support a digital optical cable. Attach any devices to the receiver and television. If you're adding a DVD player to the mix, for example, you'll need to run an audio cable to an open input on the receiver and a video cable to an open input on the television. If your DVD player and television support it, an HDMI cable is recommended for optimal video quality. These can be purchased at any major electronics retailer, like Best Buy. For maximum audio, a digital optical cable is a valid option. Similar devices like Blu-ray players and home video-game consoles can be added in the same basic way. Check all connections and make sure everything is plugged in. Before turning on your stereo for the first time, make sure everything is hooked up properly. Stereo components can be finicky, and a bad connection could potentially ruin one of your speakers (or worse). Check all speakers and make sure they are properly wired. Check all devices and make sure they are hooked up in the correct manner to the receiver. Most importantly, check the power cables for everything and make sure the entire apparatus is plugged into an outlet or power strip that won't overload when you turn everything on. Once you've done this, turn on the receiver and whatever else you wish and take your newly hooked-up home stereo system for a test drive. To maintain optimum audio quality, your speakers should be rewired every few years, depending on how often you use them. Even though your stereo has a "MAX" volume setting, that doesn't mean it's a good idea to use it. 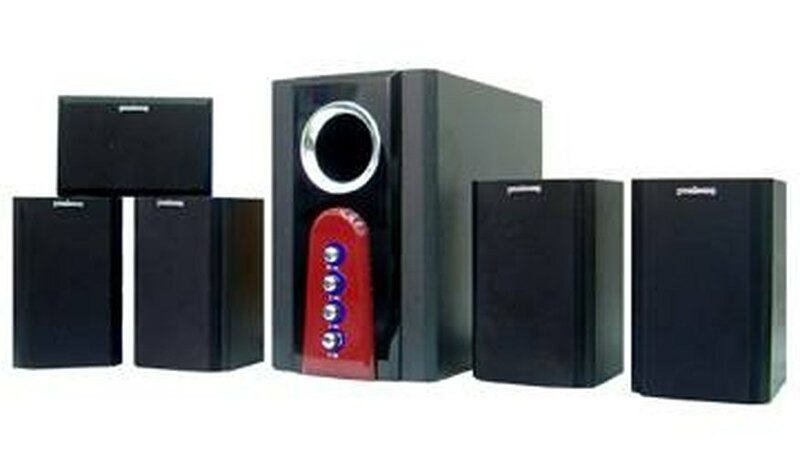 Blowing a speaker due to misuse is not only irritating but expensive. How Do You Add Bluetooth to a PSP?